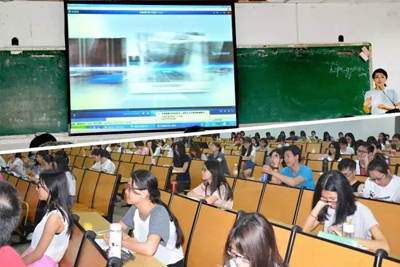 Guangzhou Landproof Testing Technology Co., Ltd.
After the “May 1st” Labor Day, the students returned to the road of studying. On the occasion of the hard work of this student, Ms. Guan Lei, the general manager of Guangzhou Lidehao Testing Technology Co., Ltd., was invited to give a speech to the students at the University of Guangzhou Medical University Campus. The topic of the speech was a hot topic for the students. – Evaluation of the safety and efficacy of cosmetics, let us walk into the campus and enjoy this professional and joyful knowledge feast! Before the speech, the video introduction of Ryder’s on the screen and the self-introduction of Ms. Guan Lei caused the curiosity and expectation of the students. Regarding the evaluation of the safety of cosmetics, Ms. Guan Lei not only presented a wealth of theoretical knowledge, but also brought the students the prize-winning and practical interactions, breaking the serious atmosphere. In this session, the students were very interested in the practice of the closed patch test, and they even experienced the application process of the spot tester. Finally, Ms. Guan Lei and her assistants demonstrated the correct closed patch test practice. In the warm applause of more than 100 students, the speech on “Evaluation of Cosmetics Safety and Efficacy” was successfully completed. This sharing was derived from Ryder’s long-term study of advanced technologies for cosmetic safety and efficacy testing at home and abroad. Constantly summing up the experience, in order to present a professional and rich knowledge feast for the students. We will not forget our original heart, as these energetic students keep moving forward! Let us look forward to the Guangzhou Ledger Testing Technology Co., Ltd., the “more understanding of Chinese skin testing experts” next more exciting speech! Landproof has been an industry leader of cosmetic test in China for over 7 years. Our Quality, Efficacy and Timely Delivery make our clients satisfied not only in China, but also in other countries and regions globally. 1601 Longze Commercial Building, 129 Longkou East Road, Tianhe District, Guangzhou, Guangdong, China.